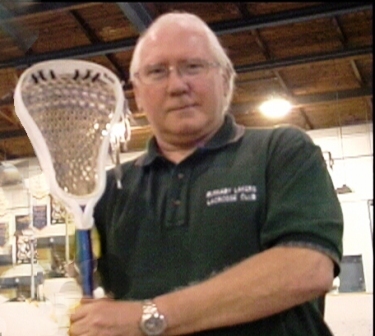 The BC Lacrosse Association established this fund in memory of Jack Crosby, a long time advocate of the sport of lacrosse. The Jack Crosby Endowment Fund was established to honour the man whose name is synonymous with lacrosse in the City of Burnaby, throughout BC and across Canada. As an athlete, coach, volunteer, and mentor, Jack touched many lives within the lacrosse community and beyond. His leadership was undeniably genuine -- all in the name of lacrosse. His selfless volunteer work was recognized in many ways over the years, such as being a 1980 Canadian Lacrosse Hall of Fame Inductee. In 1991, he received the Canadian Lacrosse Association's highest honour, The Lester B. Pearson Award for outstanding achievement. In 1984, the Jack Crosby Novice Tournament was established; and in 2001, he was an inaugural inductee to the Burnaby Sports Hall of Fame. This BCLA Jack Crosby Endowment Fund will provide a sustainable future for members of the lacrosse community who play, coach, volunteer, referee and enjoy the game of lacrosse throughout BC. The interest from this fund will be used to support innovative projects and programs that will address the needs of BCLA members. This fund is an investment for the lacrosse community to become self-reliant; it will benefit our grandchildren's children and provide a legacy that will continue to "pay it forward" forever: a future for lacrosse that Jack would be proud to support. For additional information about the BC Lacrosse Association, please visit the website.